Thursday’s near-record warm temperatures led to an increase of fire activity along the north and northwest corner of the Zitziana River Fire (#133). Late in the afternoon, isolated group torching and some limited spotting was observed along the Zitziana River. The nearby Mooseheart Fire (#204) showed limited fire activity. 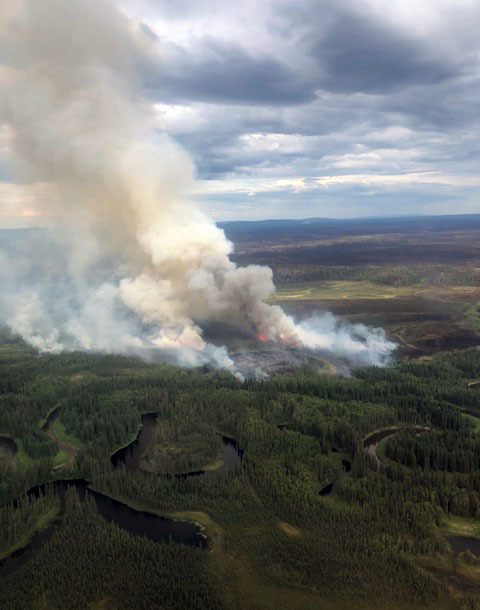 The two lightning-caused wildfires burning approximately 100 miles west of Fairbanks and 8 miles south of Manley Hot Springs have not increased in size. The Zitziana River Fire is an estimated 34,380 acres and the Mooseheart Fire is an estimated 52,700 acres. Thursday’s operations continued with the same strategy employed by the 145 personnel assigned to the two fires. 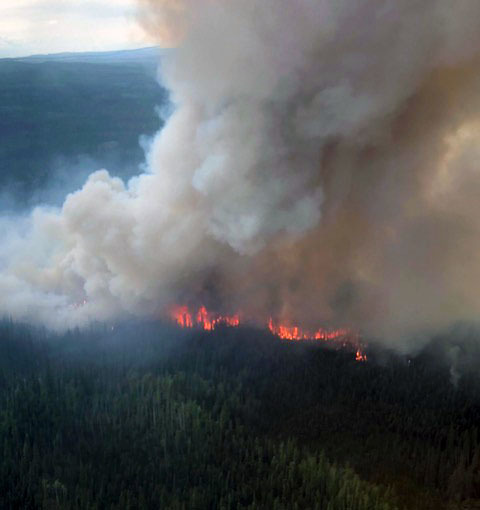 Firefighters carried on their work to protect cabins and homes around Kindamina and Mooseheart lakes, as well as Native allotments along the Tanana River. Rain overnight and continuing into Friday morning was reported from the fire. The four firefighting crews and smokejumpers assigned to the fires will continue with their mop-up and point protection work in addition to improving their indirect fireline. The two fires are being managed by a BLM Alaska Fire Service Type 3 organization based in Manley Hot Springs. Both fires are burning in a limited fire management option area that allows fires to function in their normal ecological role while allowing for protection of structures and Native allotments that may be threatened. A temporary flight restriction (TFR) remains in place over both fires to provide a safe flying environment for aircraft working to support firefighters on the ground Pilots should go to http://tfr.faa.gov/save_pages/detail_8_6507.html to check NoTAMS before flying anywhere in the area. For more information, go to akfireinfo.com or call the fire information offices at the Alaska Interagency Coordination Center at (907) 356-5511.